Whoever said that, must’ve really known conmen. Political parties disagree with the opposition, and vice versa. They even react to current events, whether domestic or foreign. But ever noticed a politician publicly disagree with another voice on the same team? The only other place you’d probably see that, is in the army, where you’re trained never to question authority. But that isn’t the case, nor should it be so in politics. Politics is where stupid ideas must be refined in a fire of counterarguments, before anyone dares make them anything more. But that isn’t the case in reality, the world over. And that should tell you all you need to know about the herd and the lack of individual reasoning. Something that should be of great concern to progressive countries. But, should it apply to people who are part of the machinery that directly or indirectly runs a country? The interest of the masses, at least in theory, should be first priority. And yet we almost never hear an independent thinker strongly and publicly disagree with a brash party strategy or decision. Even when a politician is found guilty of a wrongdoing, the almost uniform, cinematic, tailored reactions of fellow-party members, dialogues included, reflects suspicion far more than it does unity. A farmer committed suicide at an AAP rally, and the hypocritical Mr. ‘Aam Aadmi’ Kejriwal didn’t let that stop his rally. 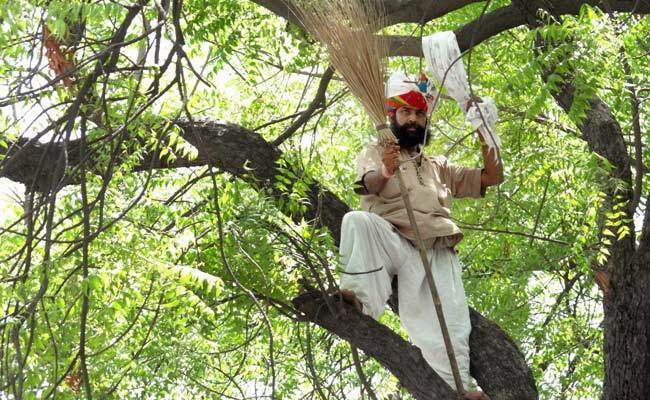 Policemen on scene laughed, as an AAP volunteer tried to save the farmer. In the last year, the PM has been building foreign relations like there’s no tomorrow, while thousands of farmers back home stare blankly into what seems like a ‘no tomorrow’. That goes for Narendra Modi too. Save the farmers instead of simply tweeting your condolences and sadness. This murder too shall pass, as the parties get busy pointing fingers at each other; while farmers will reconcile to the fact that it isn’t mother earth that failed them, but their very own countrymen.